I am Cate Coffelt, an evidential Medium, Psychic and Animal Communicator for which I truly feel blessed. My story begins with my first encounter with Spirit when I was a very young girl. I woke up to find my grandmother appear at the foot of my bed, just prior to our family receiving “the call” that she had passed. As you can imagine, this scared me. Through the years I would have various experiences that I just could not explain. Dreams I had would come true or sometimes I would just know something was about to happen, but I always thought these events were simply coincidences and I’d ignore them. People would often joke with me and ask, “how did you know that, are you psychic?”. I also found I had similar experiences with animals. I’ve always had a deep love and respect for our furry companions and would find comfort from them while growing up. Growing up in an abusive home, I would find myself escaping to the outside and “talking” with just about every animal that crossed my path! Many pet parents were amazed at how quickly their pet would warm up to me and inform me that their furry loved one would not normally behave in such a positive way. It wasn’t until later in life however, that I would accept that I was born with a special gift. I had confided with a counselor about a few of my past experiences. As a trusted intuitive himself, he suggested that I had a spiritual gift in which I was all too quick to dismiss. Being raised in a strict religious home and choosing to carry on those beliefs over the years had limited my views, which prevented me from exploring this side of me. It took me a few years to understand that I am using my innate gifts and abilities to help others, nothing more. Also, raising a daughter on my own and working within the corporate arena with organizations such as Nestle, Warner Bros., and Dignity Health hadn’t allowed me much time to fully explore why certain things would “just happen”. But one day, a friend of mine asked me a very serious question about her future and that is when I realized the true nature of my gift. She thought I might be able to help since she knew about some of my past intuitive experiences. Almost immediately into the reading, we both knew that I was communicating with her loved one from the other side because of the specific validations and messages that was being presented. This brought healing my friend had never experienced before. It was at that time I chose to use my gifts to serve Spirit and have since made it my mission to connect as many souls as possible. My hope is that whether I am connecting with your loved ones from beyond, providing life guidance, or helping you with your pet family, that you will find comfort in knowing that the messages I channel are specific for you. I consider it an absolute honor to be able to share a few moments of your life’s journey to communicate messages from those who are special to you. Thank you for taking the time learn more about me. 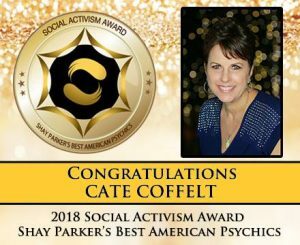 Cate Coffelt is twice tested as an ethical and accurate Psychic Medium and Animal Communicator. 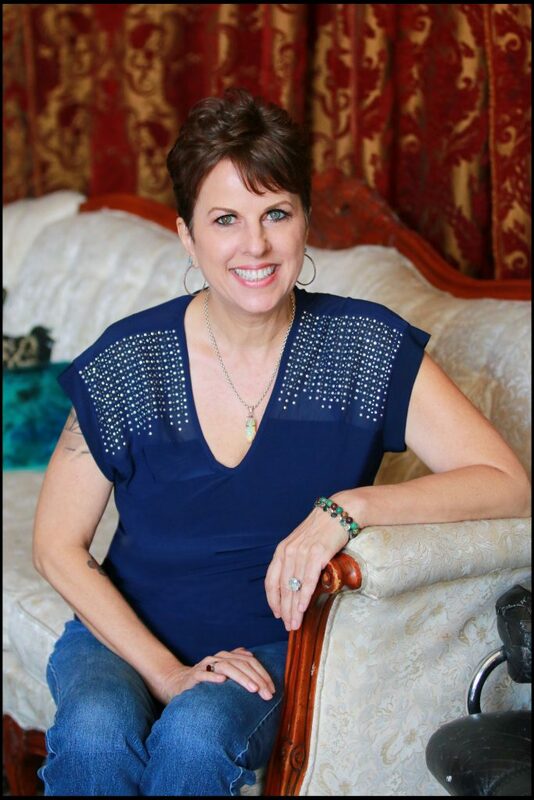 She is a member of The Certified Psychic Society and a featured member of both Shay Parker’s Best American Psychics and Bob Olson’s Best Psychic Directory.